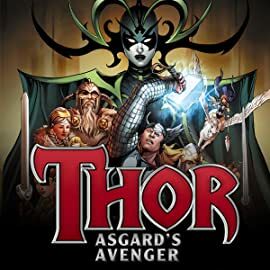 Begin quenching thy curiosity of all things Asgardian with this assemblage of Thor-related profiles in the time-honored OHOTMU manner! 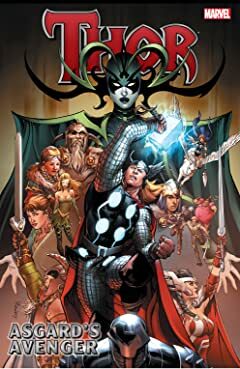 Learn of foul rogues such as Malekith, Mangog and the fiery Surtur; lovely visions like Jane Foster, Kelda and Karnilla; mystical items including the Norn Stones and the Oversword; and, of course, heroes worthy of song: the new Thunderstrike, Vidar, Volstagg and an update on the noble Thor himself! Plus: the Nine Worlds of Asgard, an Appendix of its citizenry and more! Featuring new art by Gus Vazquez! Truly, a tome worthy of the gods! Miss it not!